She's Got This! 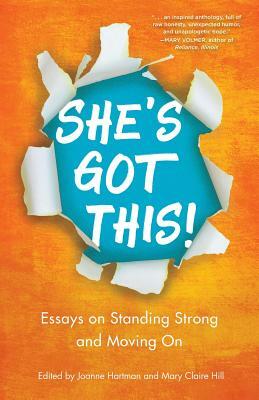 : Essays on Standing Strong and Moving on (Paperback) | Copperfield’s Books Inc. Boldly and unapologetically told, the essays featured in this powerful collection exemplify strength and resilience as these writers--published authors as well as fresh voices--take their truths public. Filled with hope, humor, and determination, these stories tackle love, loss, friendship, identity, and parenthood. She's Got This is their anthem, one that will resonate with women everywhere.